Great news for Gleeks around the world! FOX has confirmed that every single Glee cast member will be returning in season 4 in some way, shape or form. Ryan Murphy has said that he had invited everybody to come back to the show and so far they all said yes. Dianna Agron, Heather Morris, Naya Rivera, Darren Criss, Mark Salling, Amber Riley, Kevin McHale, Jenna Ushkowitz and Harry Shum Jr., join Lea Michele, Cory Monteith and Chris Colfer on the ‘revolutionary’as they call it season 4. The kids in their new endeavors also join Matthew Morrison, Jane Lynch and Jayma Mays. As far as fan favorite Chord Overstreet goes, Deadline reports that not only he is returning to Glee, but he is also in talks to be upgraded to a series regular. Kate Hudson and Sarah Jessica Parker also join the cast for multi-episode arcs. But there’s more. Jane Lynch revealed to DailyStar, that Glee’s producers are in talks to sign British singer Cheryl Cole for a guest stint. ‘There’s been talk on set of Cheryl appearing for a year or so, but it’s set to happen now,’said Lynch. ‘Cheryl’s the perfect Glee fit, she can sing, she can dance and she looks good. It would be cool if she played herself,’continued. Season 4 of Glee, which is going to be a new beginning for most of the characters, will be set not only in Lima but also in New York, following Rachel’s first year in NYADA. 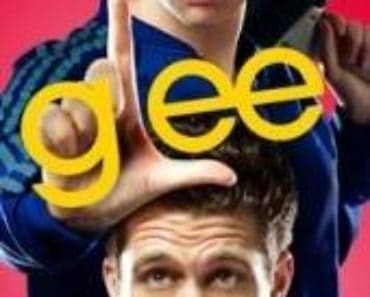 Glee starts shooting for the new season in a few days, on location in New York and it premieres on Thursday, September 13 at 9/8c.